After recent high-profile money laundering lapses in several of its countries, the European Union needs to implement a better strategy to combat money laundering, including the establishment of a central anti-money laundering authority, according to a recent report from Bruegel, a think tank based in Brussels. The report references several banking scandals in Cyprus, Denmark, Estonia, Latvia, Malta, the Netherlands and the United Kingdom which have shone an embarrassing light on the flaws in Europe’s ability to deal with the problem of money laundering. The report follows well-publicized breaches which have exposed faulty oversight by individual EU member states. Perhaps the most notable of these is the scandal surrounding the Estonian branch of Danske Bank, which is Denmark’s largest bank. In September, Danske Bank admitted that over USD$200 billion in payments flowed through its Estonian branch between 2007 and 2015 and acknowledged that a significant portion of these funds are suspicious and the result of money laundering. The problem began when Danske bought the small Finnish bank Sampo Bank in 2007, including its Estonian branch. The Estonian branch of Sampo had a large non-resident customer base, and many of these clients were Russian. However, Sampo Bank had never done Know Your Customer (KYC) checks on many of these foreign customers. KYC checks involve obtaining basic information about a bank’s customers, such as verifying their identity, address and source of wealth. Even though Danske Bank knew about the compliance issues with many of the clients on Sampo’s books, they proceeded with the acquisition anyway and failed to rectify the situation. Ongoing monitoring of transactions and the screening of payments are also standard AML policy, but Danske failed in this regard, as the Estonian branch was not on the same IT platform as the rest of the bank, and as a result, AML checks became substandard and many transactions received no screening at all. The non-resident portfolio continued to grow for Danske’s Estonian branch, including the onboarding of many clients from Cyprus and Latvia, countries which were known to launder illicit funds from Russia. Despite the faulty AML program, the Estonian branch continued to produce large profits for Danske. However, regulators began to get wise to the AML problems, and pressure caused Danske to conduct an internal audit in 2014 which criticized the blind eye that was being turned to the money laundering issues. Everything came to a head in 2015 when Danske decided to close down its Estonian branch’s non-resident client base. The bank received a reprimand from the Danish financial regulator in 2018 which was followed by the termination of its chairman and chief executive. A criminal investigation is currently being conducted into the matter. Estonia’s Baltic neighbor Latvia is also the subject of a recent major money laundering matter. In February 2018, the Financial Crimes Enforcement Network (FinCEN), an arm of the U.S. Treasury Department, accused ABLV Bank, the third largest bank in Latvia, of money laundering and sanctions violations. According to FinCEN, ABLV provided banking services to high-risk shell companies who facilitated transactions for parties connected to North Korea, a violation of international sanctions. These parties, it’s alleged, had connections to North Korea’s nuclear weapons program. FinCEN also accused ABLV of helping customers evade foreign currency controls through fraudulent documentation and the disguising of currency trades, clear violations of the law. The result of these accusations? FinCEN banned ABLV from having access to the U.S. financial network due to its money laundering violations, which was the death knell for the bank. As soon as the accusations from the U.S. Treasury Department were announced, the bank’s depositors withdrew 600 million euro, nearly a quarter of the bank’s total deposits. ABLV is currently going through liquidation and will be closed down. 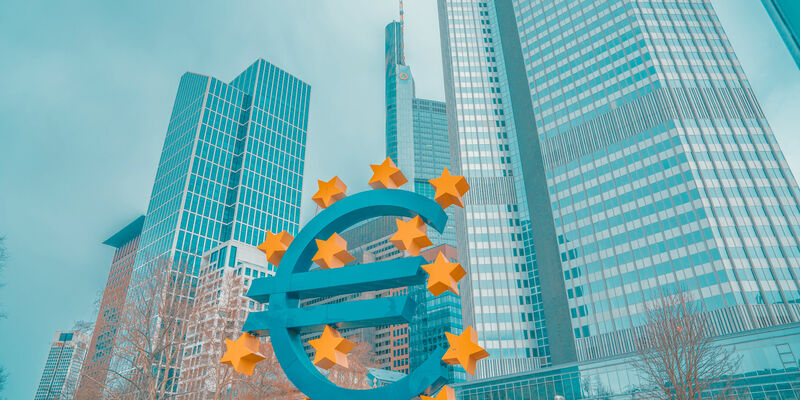 There have been numerous other compliance failures at European banks aside from those described above, and as such there are calls for a more centralized program of AML supervision to be carried out by the European Union. Currently, AML oversight and regulation in Europe is, for the most part, conducted by each member state, but with such egregious and publicized failures as the Danske Bank and ABLV affairs, there is a renewed urgency to change this approach. European authorities were surely troubled that it was the United States who had to step in to address ABLV’s money laundering failures. The Bruegel report makes the point that European countries have vastly different policies when it comes to disclosing fines for banks which violate AML laws; some countries have policies of anonymity in disclosing such penalties, while others publicize them in an effort to deter such violations in the future. Under an EU-directed AML supervisory program, one could expect matters such as this to be universal for all European countries. However, it’s unclear whether member states of the EU would sign on to having more regulatory authority usurped by the European Union; there’s a chance that countries with stronger AML supervisory programs would tell the EU to back off and focus on those countries struggling to address their money laundering problems. However, should more embarrassing, well-publicized AML failures come to light in EU member states, expect the chorus to grow louder for more direct EU control in the fight against money laundering.